For Matt and Kristy Guiguet, operating the Lodge to the highest standard is their life’s passion and Kyuquot Sound is home. Kristy was born and raised in Kyuquot and her family has been in the area for over 90 years. She grew up commercial fishing on her parents salmon troller the “Northern Bounty” which is still in Kyuquot and is one of the last commercial boats in the area. Kristy ran the local store and post office for a few years until she met Matt, who was born and raised in Victoria. He spent his summers fishing in Bamfield as a kid, mostly bucktailing for Coho commercially on his grandfather’s 17ft clinker. Matt started in the sportfishing industry with Oak Bay Marine Group in the 1990’s, eventually buying his own charter boat and a steelhead guiding business. He worked in places such as Haida Gwaii, Tofino, Gold river, and more before starting Rugged Point Lodge with Kristy in his favorite place in Canada: Kyuquot.  Our friendly crew welcomes you to Rugged Point Lodge and is here to ensure you have the best trip ever! Our experienced guides, friendly hosts and professional chef are on site to take care of you and your needs. Our offsite reservation coordinator Maureen is always available to help you plan your trip. In the off-season, find owners Matt and Kristy (and their kids) on the road at various trade shows across the Pacific Northwest. Kyuquot was originally inhabited by the Ka:’yu:’k’t’h’/Che:k:tles7et’h’ (pronounced Kie-YOU-cut and TSHEH-kleh-szet) First Nations people who still live on their traditional territory along the Pacific West Coast of Vancouver Island. Finnish commercial fisherman settled the area in the 1930s, turning Kyuquot into a thriving port and logging town. Today, the small community is a sport fishing destination. Kyuquot has a general store and post office, and supplies are delivered weekly from Gold River on the MV Uchuck 111 (pictured above).